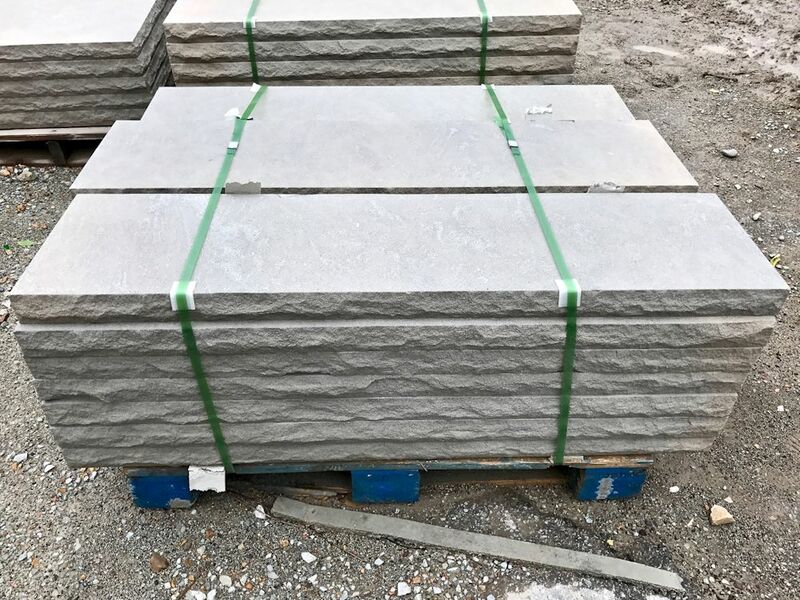 Green Stone is your central Indiana source for natural stone and landscape products including Indiana Limestone Caps and Wall Coping. These pier caps provide the perfect trim piece for stone and brick. Smooth and rock-faced sides available. Stock sizes are 2 1/4″ thick in a 24″ x 24″ or 28″ x 28″. Special order sizes available upon request. These wall caps add a unique appearance to any wall design. Rock-faced caps are available in 2 1/4″ thickness, In-stock sizes are 12″, 14″, 16″ and 18″ depths x 48″ lengths. Special order sizes available upon request. These wall caps add a unique appearance to any wall design. Sawn-face caps are available in 2 1/4″ thickness, In-stock sizes are 12″, 14″, 16″ and 18″ depths x 48″ lengths. Special order sizes available upon request. 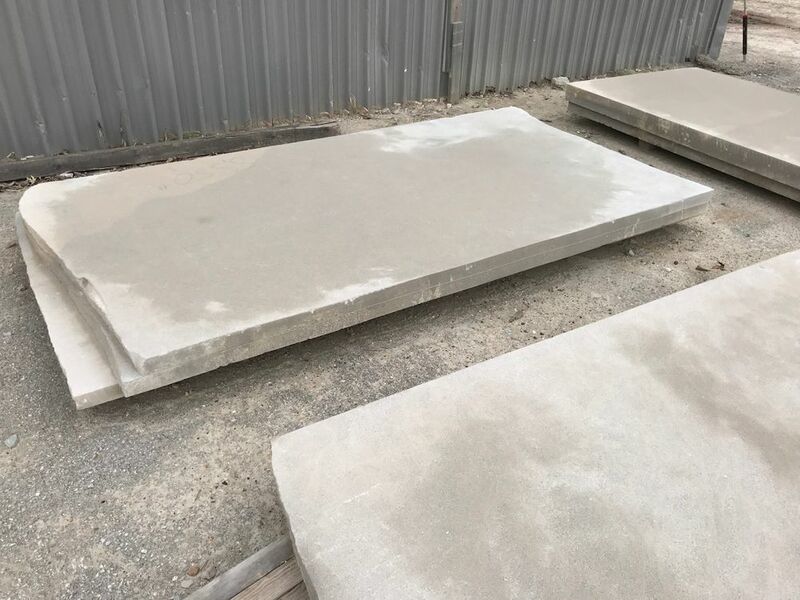 Rough-cut slabs are available in 2 1/4″ and 3 inch thicknesses. Diameters are roughly 4′ x 8′. 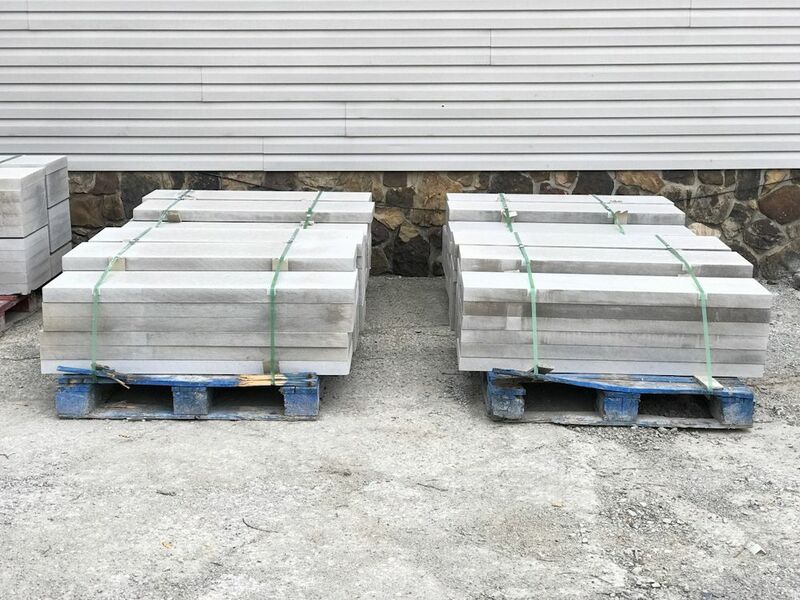 Great for outdoor kitchen tops or cutting custom pieces on-site.